CARE consultants provide training to teachers, administrators and others involved in the IEP development, implementation and ongoing progress monitoring using a systematic approach that ensure that all staff are conducting assessments (such as state assessments, teacher-made tests, multiple choice tests, work samples, observations, progress reports, curriculum-based measures, rubrics, parent information, observations, state assessment confidential student reports, etc.) that lead to establishing a baseline and a summary addressing strengths and areas of concerns that lead to the development of Present Levels of Academic Achievement and Functional Performance (PLAAFPs). Our team will share how to develop measurable goals and objectives based on state standards from the PLAAFPs and use ongoing progress monitoring to determine whether adequate progress is being made on the goals and objectives. 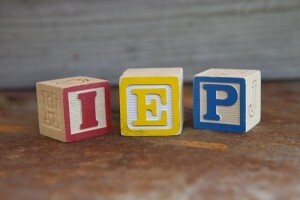 The CARE team will also demonstrate how to ensure that the IEP team members can addresses how the student’s disability impacts involvement/progress in the general education setting, as well as its impact on functioning in everyday life; address the need for accommodations/modifications; and provide a description of academic, functional, and transition needs. CARE consultants can also provide training on how to utilize IEP rubrics across the district so that as IEPs are being completed they are being reviewed to determine if they meet technical adequacy. The use of rubrics provides a consistent and objective way to review IEPs and determine where additional training and technical support may be needed by different teams across the district so that targeted support can be provided and/or feedback on how to improve the technical adequacy of IEPs by various teams and/or individuals.